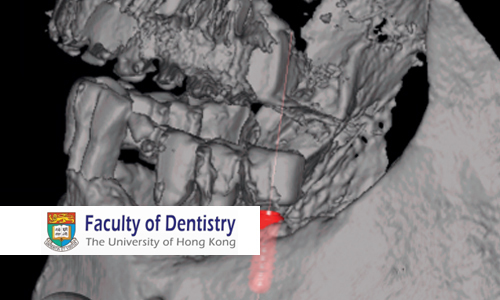 The lecturers will jointly present the relevant anatomical and radiographic aspects of oro-facial anatomy related to implant dentistry and dento-alveolar surgery. Anatomy is considered “the oldest child of mother medicine”, and as such, is essential for any medical intervention. In the first part, a general review of the musculoskeletal and neurovascular structures of the oro-facial region is presented. Furthermore, basic aspects of 3D oral- and maxillofacial radiology using cone beam computed tomography (CBCT) will be discussed. These include thoughts on radiation protection and dose optimisation, indications and limitations of CBCT for oral surgery and implant treatment planning including post-operative follow-up. Dentistry in general has become a more surgical discipline in the wake of dental implantology, and therefore inherits more surgical risks, particularly damaging of neighboring anatomical structures. These include the nasal cavity and the maxillary sinus, the greater palatine artery, the nasopalatine nerve, the mental and inferior alveolar nerves, the sublingual and submandibular fossae, and many more. The second and third parts of the course will address in detail the site-specific anatomical and radiographic aspects of the maxilla and mandible in relation to dento-alveolar and implant surgery. The objective of the course is to provide the participants with clinically oriented and updated information about anatomy and radiography in conjunction with implant dentistry and dentoalveolar surgery. Dr. von Arx graduated in 1980 at the University of Bern, Switzerland, where he later also specialized in oral surgery. He spent a research year at UTHSC at San Antonio, Texas in 1999 (Dept. of Periodontics). Thereafter he joined the Dept. of Oral Surgery and Stomatology, University of Bern. Dr. von Arx became Associate Professor at the same department in 2008. He spent a 6-month sabbatical at the Department of Anatomy, University of Hawaii in Honolulu in 2013/2014. Dr. von Arx has lectured on all five continents and has authored/co-authored 187 papers/book chapters. Apical microsurgery and oral anatomy are his main fields of clinical work and research. Together with Dr. Lozanoff, he recently published the book “Clinical Oral Anatomy – A Comprehensive Review for Dental Practitioners and Researchers” (springer.com). Michael Bornstein has been appointed in 2016 as Clinical Professor in Oral and Maxillofacial Radiology at the Faculty of Dentistry, The University of Hong Kong, Hong Kong SAR, China. He is also Visiting Professor at the OMFS-IMPATH Research Group, Department of Imaging and Pathology, University of Leuven, Belgium. Dr. Bornstein obtained his dental degree (1998) and thesis (Dr. med. dent., 2001) at the University of Basel. He continued with specialization in oral surgery and stomatology in Basel and Bern. In 2004, he was visiting assistant professor at the Department of Periodontics at the University of Texas Health Science Center at San Antonio, USA. From 2007-2014 he was head of the Section of Dental Radiology and Stomatology, University of Bern. In 2009, he obtained the Habilitation (Privatdozent/PhD) and in 2014 he became Associate Professor in the field of “Oral Surgery and Stomatology”. His fields of research include cone beam computed tomography (CBCT) in clinical dental practice, stomatology/oral medicine, and GBR procedures with dental implants.